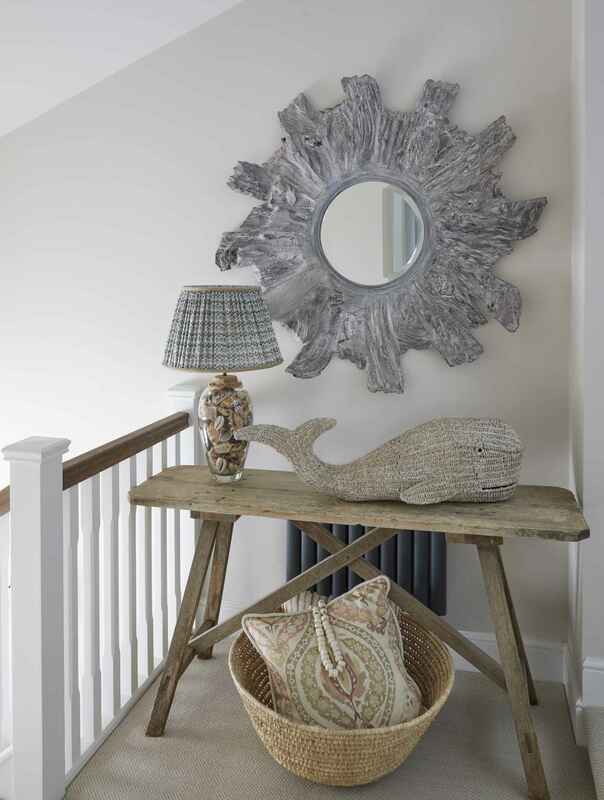 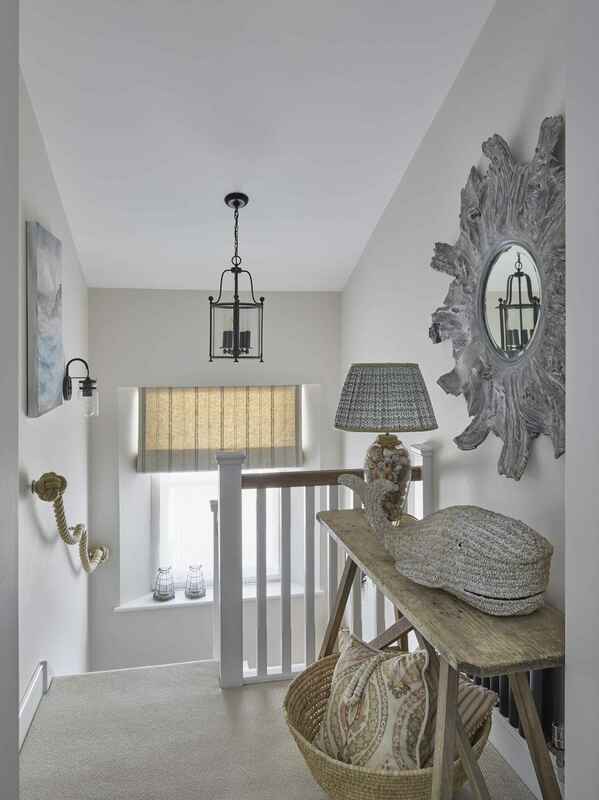 Exploring the hallways of Mountain Ash House is as exciting as the adventures and natural beauty of the Devon coast that inspired its decor. 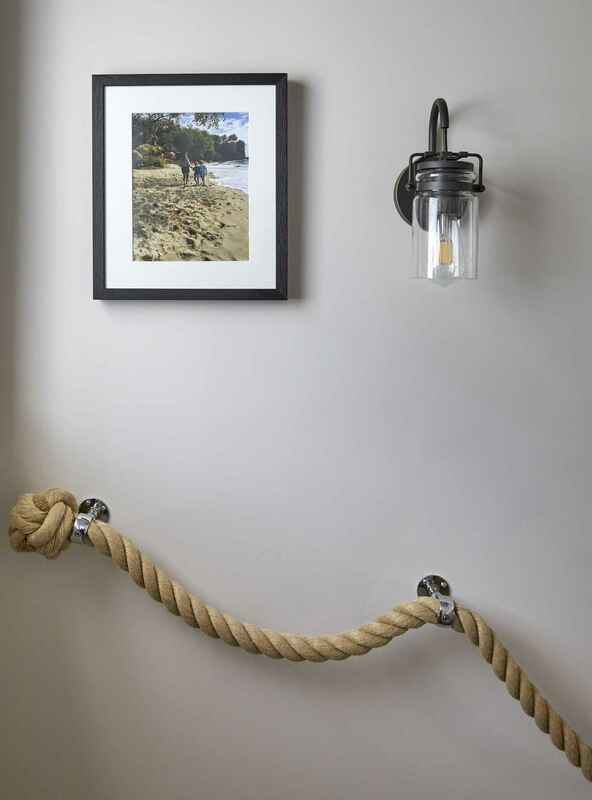 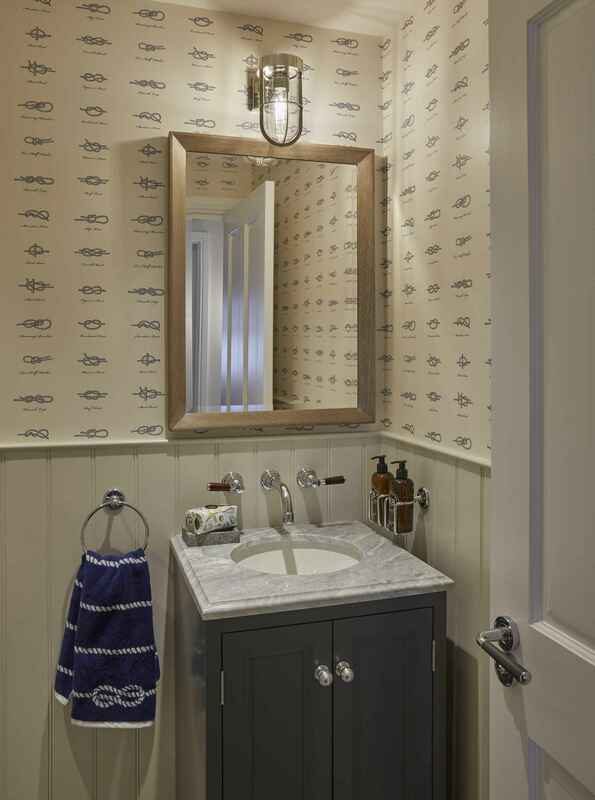 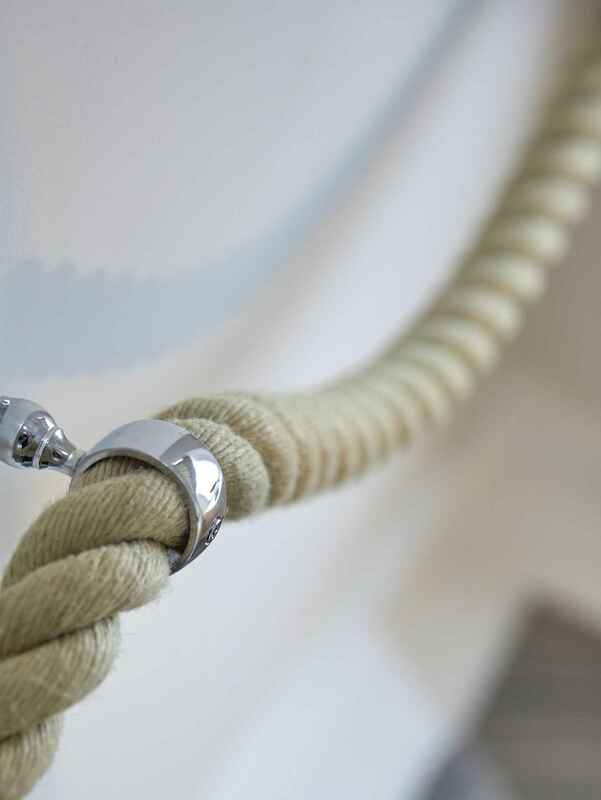 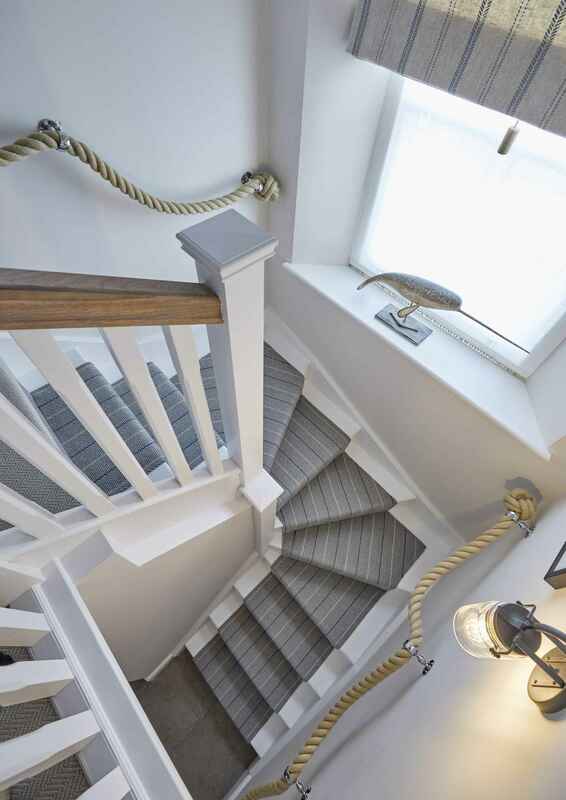 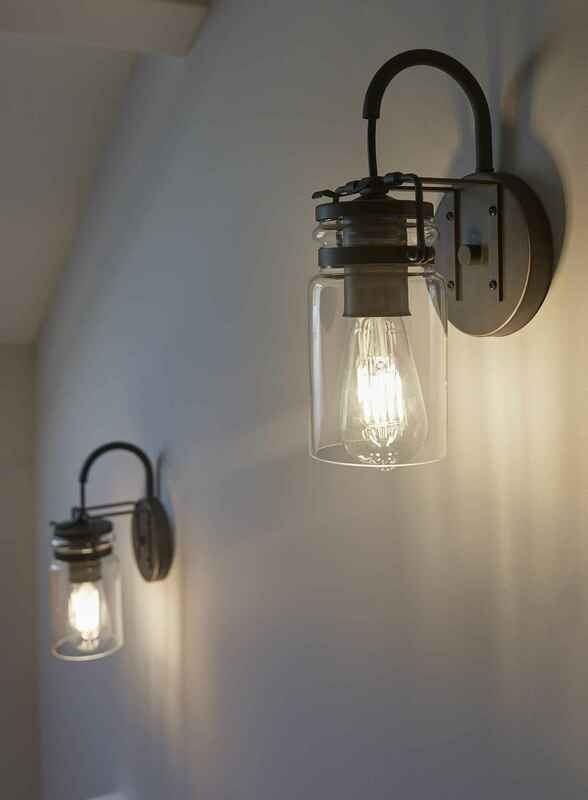 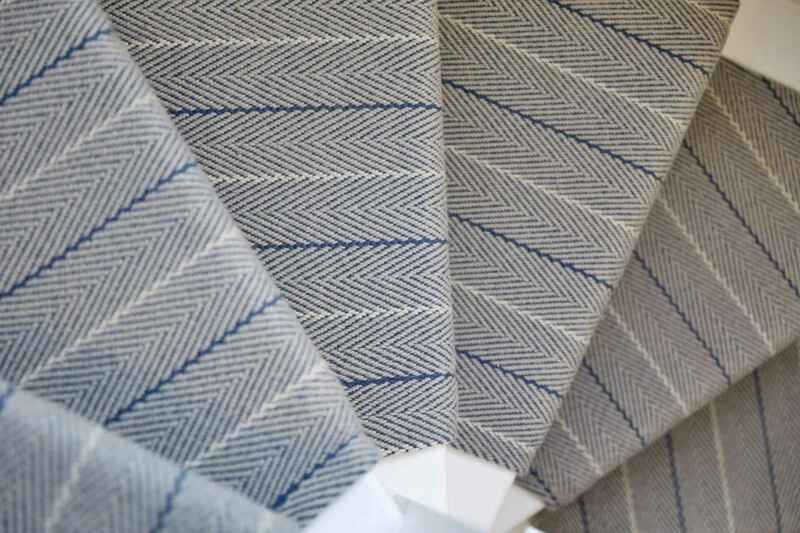 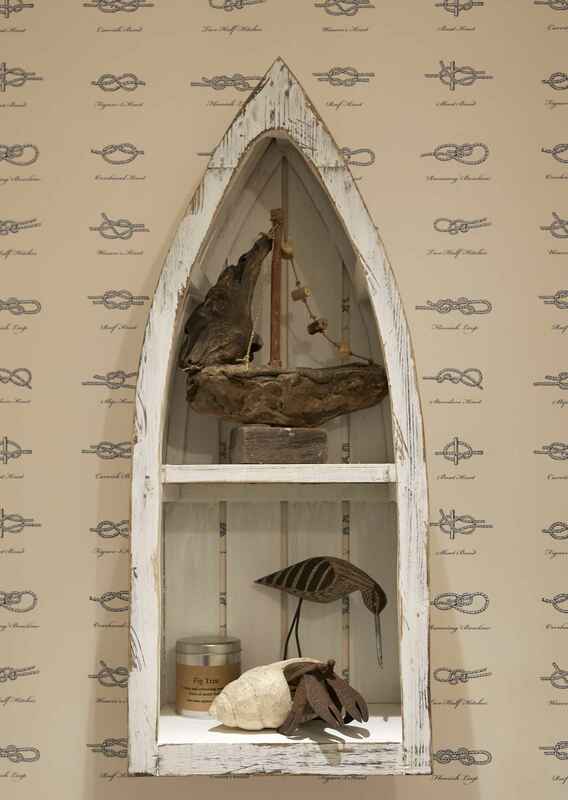 Nautical details abound throughout the hallways of our luxury cottage from rope banisters complete with custom chrome holders to knot wallpaper that speaks of seafaring excursions. 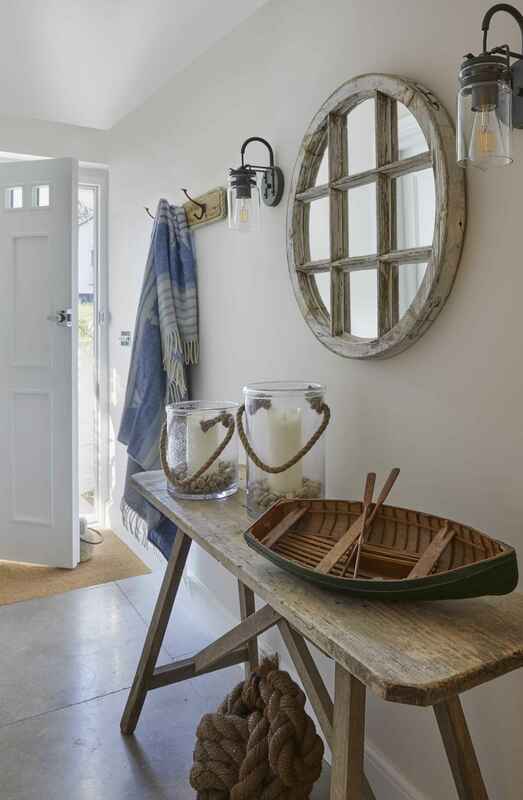 The soft whites and creams created a calming feel with natural materials and wood connecting the guests even further to the beauty of the land and sea that surround the cottage.